Any Vorb Users In Perth? Re: Any Vorb Users In Perth? Racerboy was over there, send him a PM see if he is still there. Contact PMBC http://perthmtb.asn.au/ . They organise races and group rides, and have info on the trails. They also have some National Champs in there, in case you're wanting something challenging. EoinC wrote: Contact PMBC http://perthmtb.asn.au/ . They organise races and group rides, and have info on the trails. They also have some National Champs in there, in case you're wanting something challenging. Which part are you staying in? EoinC wrote: Which part are you staying in? I am living in east perthvat the moment so nice and handy to the river to get on the local trail network for my road bike. I got out today with some of the guys from pmbc and had a bit of a ride at Langford park, was great to meet new people and drag the mountain bike out after being on the road bike a lot lately. Good to hear. My daughter races road and track with some of the PMBC Juniors. The Tucknott family are stalwarts of PMBC, and do well in road, track, and XC ( http://www.cyclingnews.com/races/all-mo ... tos/204475 ). 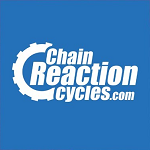 There are also several shop rides near you, if your looking to stretch yourself on the road bike. If I recall correctly sickman was FIFO from perf. "I'm not for that. I'm for the ladies." Munda Biddi. Seems I might be roped into doing this one day. Many beer stops I'm guessing.